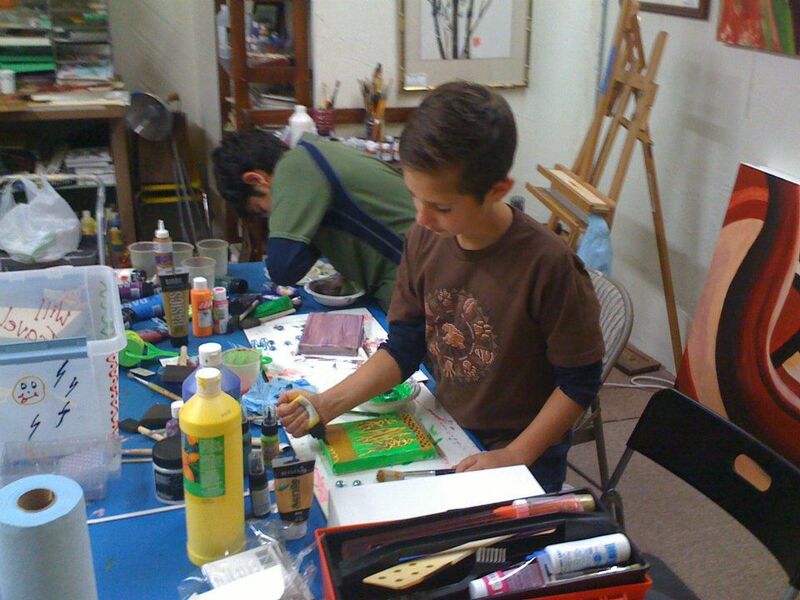 Kids & Art opens it’s 2013-14 art workshop season! Sunday October 20, 2-4pm Our families will work with some amazing artists. We will bring all the art supplies, canvases, paints, embellishments, different materials for collage and much more. We are very happy to kick off the season in fall when the weather makes you moody and the smell of paint invokes the artist in you to create magic. Here is some of the art created by kids with artist Helen and Laxmi. It’s awesome isn’t it? Kids & Art workshops are free to our cancer families.